A writing retreat is an organised excursion for writing. The idea is to be away from your usual writing environment with the goal to write a section of your thesis or journal article. After writing, you could enjoy some activities as a treat for accomplishing the goal of the day. Some lucky friends have experienced a facilitated writing retreat organised either by their institutions, faculties or supervisors. I have yet to come across such an opportunity and my strict budget could not accommodate the expenses to be away for a few days. However, a $15 coupon offered by the Wobbly Goat Cafe gave me an idea for a “Write and Bike Day Retreat”. Because the coupon included a food voucher and bike hire for two people, I proposed a plan to my friends. 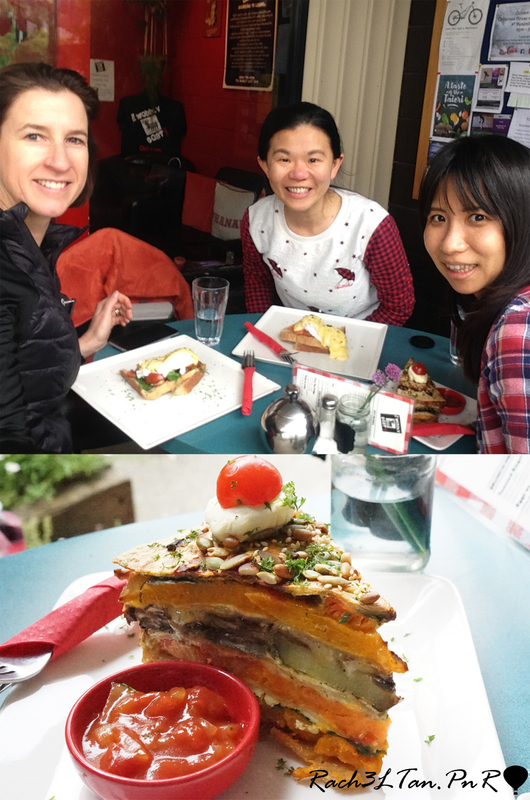 First, we would write, followed by cycling and lunch as our treat, and end with a discussion about our studies. 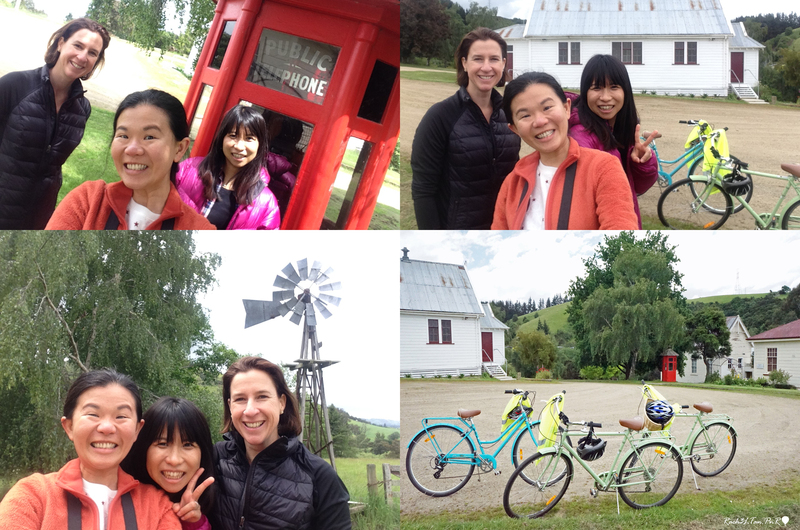 With a plan in hand, Tracy, Naoko and I went for a single day writing retreat on a fine Tuesday. 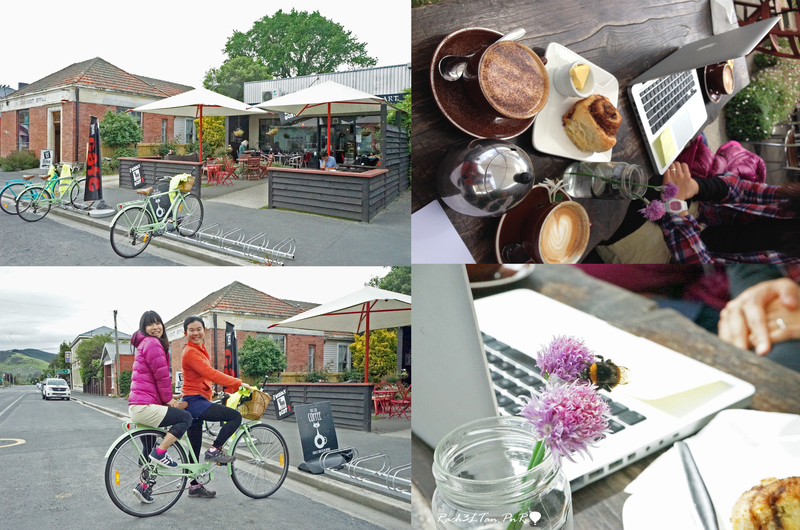 Located in an outer suburb of Dunedin, the 20-minute drive out of town had already lifted our spirit to work. Upon seeing the café, we liked its outdoor setting and decorations. Its long tables and benches were perfect to spread our writing tools, papers, notebooks and laptops. Over a hot cuppa and some baked goodies, we started our work. The breezy weather and a different working environment were refreshing and I could easily focus on the chapter I wanted to work on. After 90 minutes of writing, we proceeded to our mini-exploration. 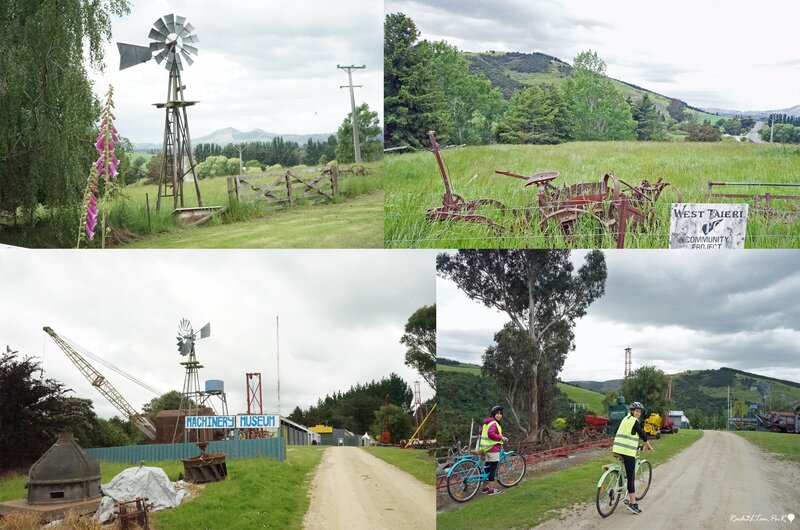 Tracy had planned our cycle route towards the Taieri Historical Park. The park was not open but we could see the exterior of well-preserved historic buildings, such as a courthouse, a church, farm equipment and a public telephone booth. After that, we enjoyed a short walk along the Taieri River. Feeling hungry, we cycled back and had a sumptuous lunch. I enjoyed the colourful Vegetarian Tortilla Stack very much. With a happily filled tummy, we discussed our studies. Because we are doing research in the area of Internationalisation, we could relate our experiences, share our challenges and make suggestions on how to improve our writing. For instance, Naoko gave me some ideas on using different perspectives to interpret my data. 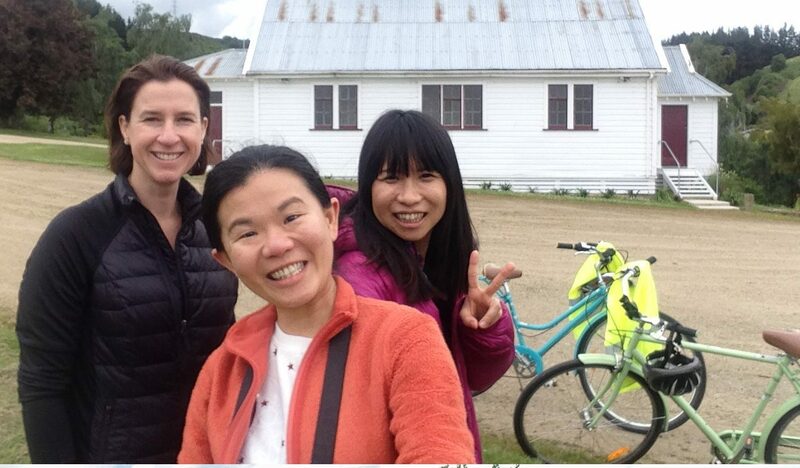 To me, our “Write and Bike Day Retreat” was a rewarding experience. 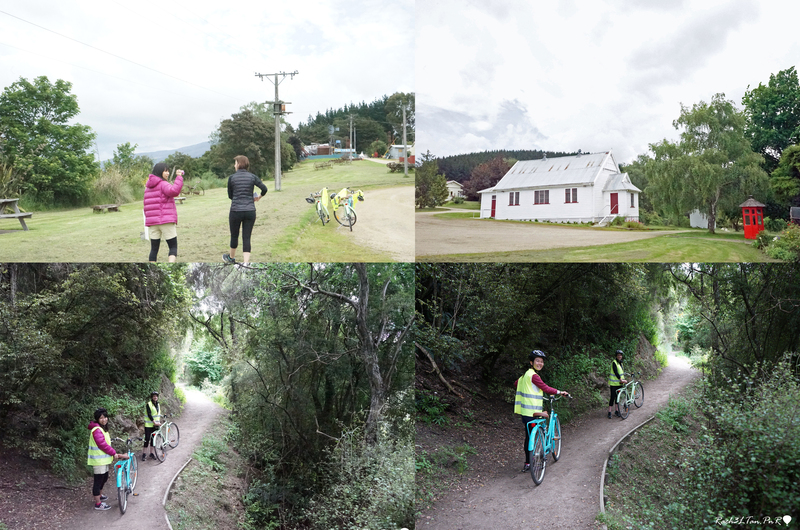 We increased our productivity by motivating one another while exploring Dunedin’s countryside. By dedicating our time to work and play along with like-minded friends, we created a memorable occasion for our long PhD journey. Next articleApplying to Study in Canada?